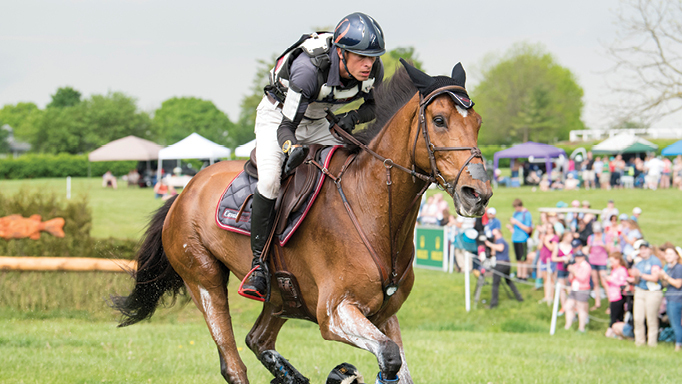 Competition horses, especially those at the highest levels of the sport, have specific nutrient needs, including the replacement of electrolytes lost through sweating. Electrolytes are the most common supplement offered to athletic horses, and for good reason. Horses are extremely efficient at thermoregulation to keep their body temperatures normal, and this is because they are such profuse sweaters. In fact, a horse can produce almost twice as much sweat as a human per unit of surface area, losing up to 10-15 litres of sweat with intense exercise. 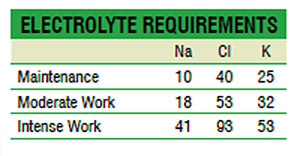 This table shows grams of sodium (Na), chloride (Cl) and potassium (K) required by a 500kg horse at maintenance (no work, growth, lacation, etc. ), moderate work (show or lesson horse) and intense work (racehorse, elite event horse). But sweat is not just water; it is packed with minerals such as sodium, potassium, and chloride (the “electrolytes”) as well as smaller amounts of nitrogen, calcium, and magnesium. So when horses are working hard, they need to replace the water they’ve lost as well as these electrolytes. Horses will lose between 15-40 grams of sodium (Na), 35-90 grams of chloride (Cl) and 8-21 grams of potassium (K) during exercise bouts of low-to-intense levels of work. Equine feeds (hay and grains) are notoriously low in sodium and only marginal in chloride, which is why all horses, even those not in work, should have access to a salt block. Forages (hay and pasture) tend to be quite high in potassium. Typically, hay is about 1.8% potassium, but often our elite athletes are only fed limited amounts of forages due to the weighing effects of gut fill. Therefore, commercial electrolyte supplements tend to contain these three minerals; Na, Cl and K.
Electrolyte supplements may also contain sugar (as dextrose, glucose, or sucrose). This is because sodium absorption from the digestive tract into the bloodstream requires glucose as a co-transporter. 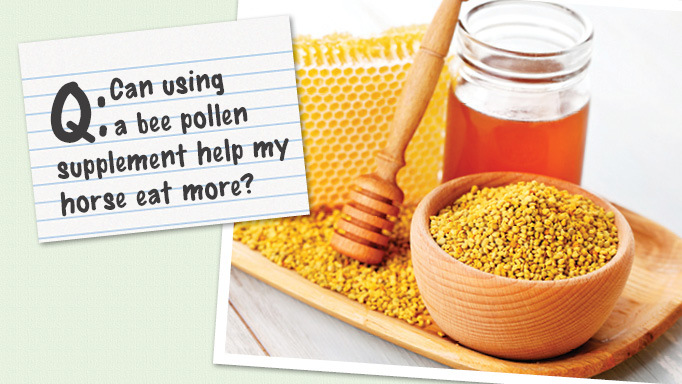 If glucose is not an ingredient in an electrolyte, feeding it with a grain meal is sufficient. Ideally, glucose is not the first ingredient and makes up less than 30% of the supplement. If you wonder how much electrolyte supplement to feed, you can determine that based on sodium. A 500-kg horse in intense work would require 41 grams (1.4 oz) of sodium per day. If we look at several commercial electrolyte mixes, they might list their ingredients as “salt” (where salt is 40% sodium and 60% chloride), or they might list sodium directly. A quick Internet search found that most electrolyte supplements have about 4-7 grams of sodium per serving. Paste electrolyte products often have even lower amounts of sodium. If you are feeding a commercially-available grain mix, there will be some salt added as well. For example, if a feed has 0.5% sodium and a horse is fed 2 kg of it – 4.4 lbs – then the horse is getting 11 grams of sodium from the grain. Do the math, as depending on what you feed your horse, he might not be getting enough sodium. You may choose to buy plain iodized salt and pour a ¼ cup of salt into the feed (1/4 cup of salt is about 76 grams, and provides about 30 grams of sodium and 46 grams of chloride). This, plus the rest of the diet, should easily cover chloride needs as well. If your horse is only fed limited amounts of forage and may be limited in his potassium intake, you might also consider mixing in some “lite” salt, which is potassium chloride. Usually a horse won’t overeat electrolytes, and if you add too much to their food they probably won’t eat it (the food or electrolytes). If you were to artificially give too high a dose (such as via a syringe directly into the mouth) they would likely just drink water to help them flush the excess via the kidneys (and would only be harmful if they have kidney problems). The consequences of electrolyte depletion can be significant. 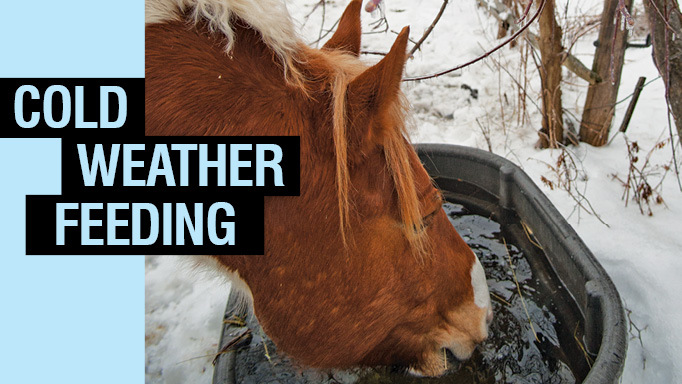 If a horse becomes low in electrolytes, he often will not drink, resulting in dehydration. This is because, in part, one of the mechanisms for thirst is the increase in concentration of salt in the blood. But if a horse is low on electrolytes (because, for example, he has sweated out most of them) there is reduced stimulus for thirst. 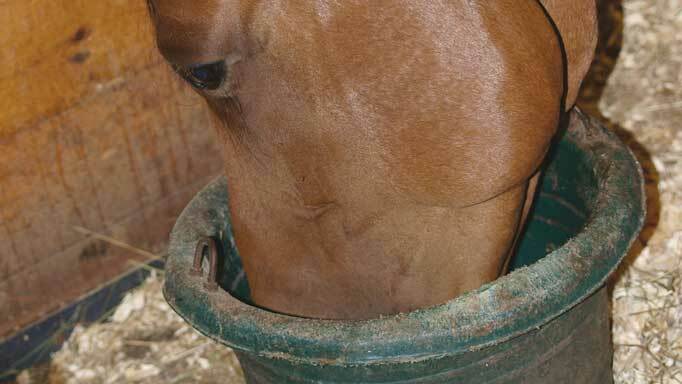 A horse may be dehydrated without low electrolyte status and vice versa, but often the two go hand-in-hand. Further, electrolyte depletion can result in impaired electrical signaling within the body, resulting in conditions such as thumps or neurologic symptoms including incoordination. A horse that is depleted will also not be able to sweat, and as sweat is the major way a horse regulates his body temperature, he can develop hyperthermia. This is not to be confused with a condition called anhidrosis, in which the horse cannot sweat (regardless of electrolyte or hydration status). Prevention of electrolyte depletion is much easier than treatment, which often requires intravenous electrolytes and fluids. 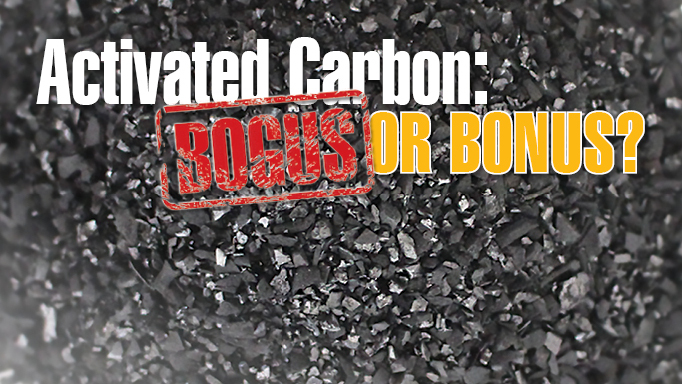 Activated Carbon: Bogus or Bonus?